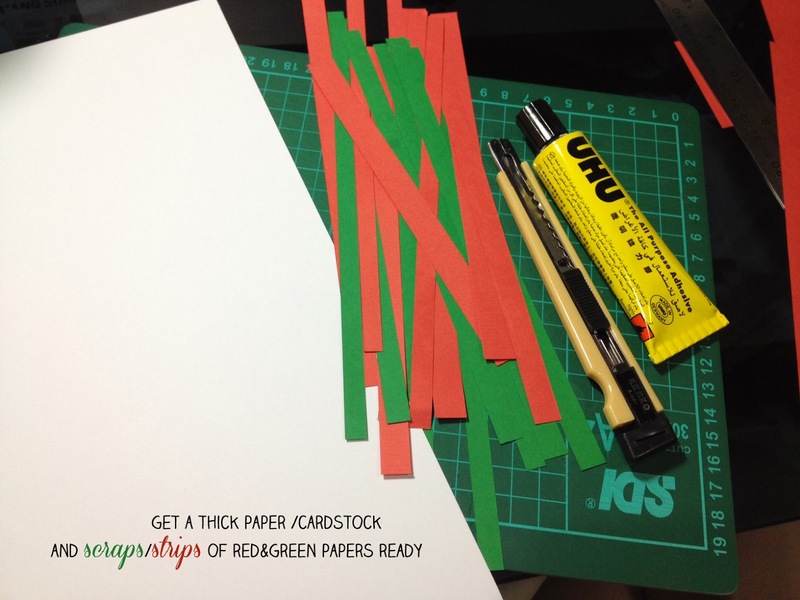 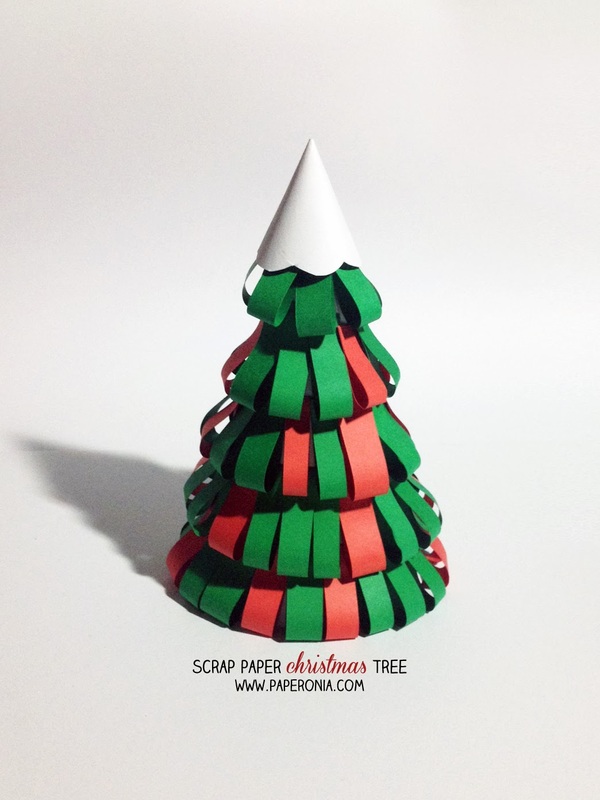 I kept strips of left-over red and green papers from making Christmas card project and had the idea of making use of them to make a tiny paper Christmas tree. Here's how I did it. 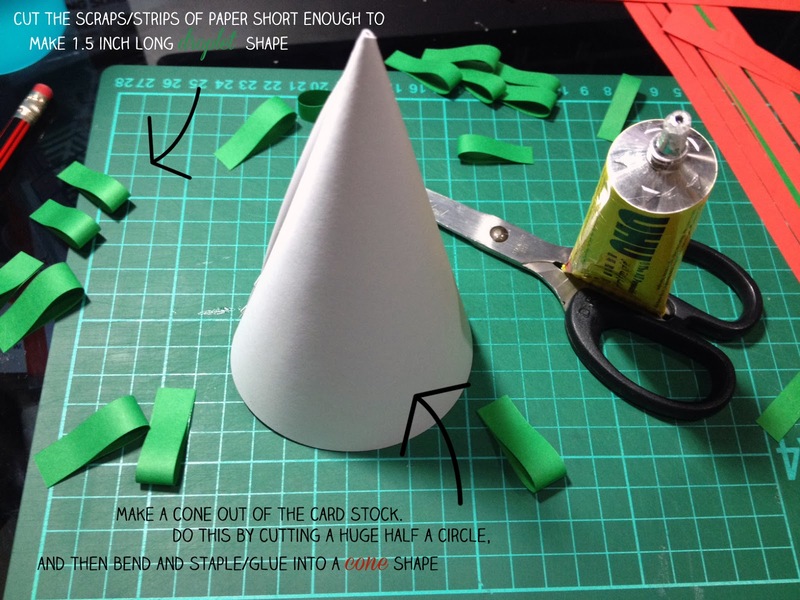 Pretty simple! 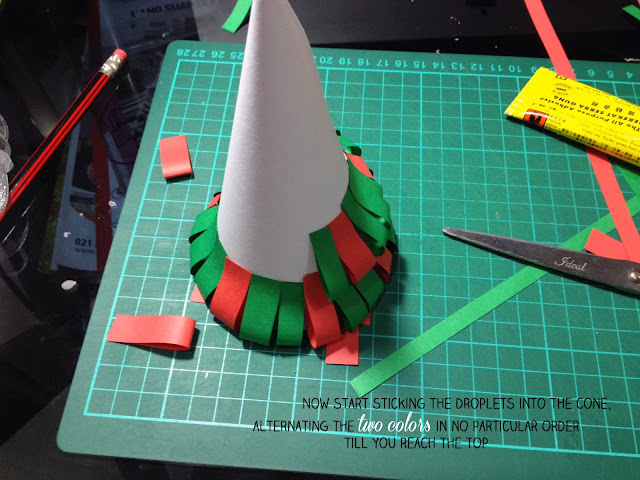 When you reach the top, you make a really small cone just to top it off, make it look like snowy on top, or you can add a star topper, or add a gold pom, or anything else fun!